* New age models that rely on cosmic shifts, the return of angels or enlightened masters, or simply meditating and adopting ancient practices to enlighten us. * Scientific models in the Transhuman and Singularity movements that believe we will upload our mind into a computer and become immortal and godlike. * Scientific beliefs that super intelligent AI will be conscious and godlike and will save us. * Modern scientific ideas that our world, including us are all an elaborate simulation run by advanced aliens, and there is nothing we can do. * Social models that believe the social media will enable popular movements to change the world. * Religious ideas that focus on the coming of Christ. 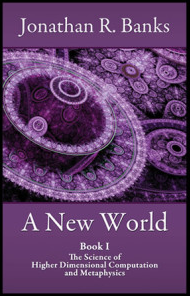 * New age and mainstream ideas that aliens will rescue us. * People who believe technology alone will save us. * Economic rationalists who think the free market will automatically solve all our problems. * A great many people of all persuasions believe that we are doomed, are in denial, or simply ignorant bliss. 1. Create a metaphysical scientific worldview based on a higher dimensional interpretation of the quantum vacuum, set theory, quantum information, computation and complexity theory to heal the split between science and spirituality and unite the world—Book One: The Science of Higher Dimensional Computation and Metaphysics. 2. 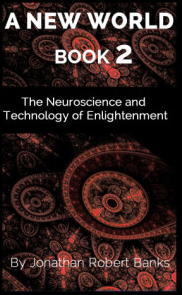 Provide the science and neurotechnology to heal and raise brain function to a higher sentient fitness and enlightenment—Book Two: The Neuroscience and Technology of Enlightenment. 3. Use agent based modelling (ABM) to simulate the transition and the best possible policies to navigate a safe path ahead—Book Three: Science and our Spiritual and Technological Transformation. 4. Create a realistic vision of the future based on the first three points for visionaries, leaders and artists to inspire the people—Book Three: Science and our Spiritual and Technological Transformation. 5. Upgrade our society’s management systems with the help of AI and ABM— Book Three: Science and our Spiritual and Technological Transformation. 6. 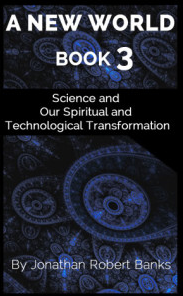 Embrace and deploy the emerging new technologies to heal ourselves and the biosphere and transform the material basis of society in manufacturing, food production and energy— Book Three: Science and our Spiritual and Technological Transformation. 7. Connect to universal intelligence to complete our sentient evolution and create stability in a post-singularity world—Book Two: The Neuroscience and Technology of Enlightenment and Book Three: Science and our Spiritual and Technological Transformation.